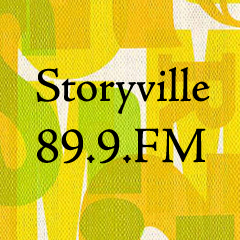 Storyville is an hour-long arts show for WKCR 89.9 FM, Columbia University radio. Storyville relies on real people and old-fashioned storytelling. Each episode covers a new theme. Shows include "Blinded by Science" which explores the narrative split between scientists and writers, and "What Are We Going To Tell the Kids?" which contains stories about the creation of unconventional families. Storyville is produced by Kate Daloz and Michelle Legro.